Should you've been walking past our little cottage yesterday, you would have heard the sound of carols played on restored, antique chord zithers. During the 2 sessions combined, 10 zithers played 5 carols, mostly in unison. We even managed to play 2 part harmonies on one song and finished off with a respectable rendition of The Blue Danube, following an original, antique tune sheet. 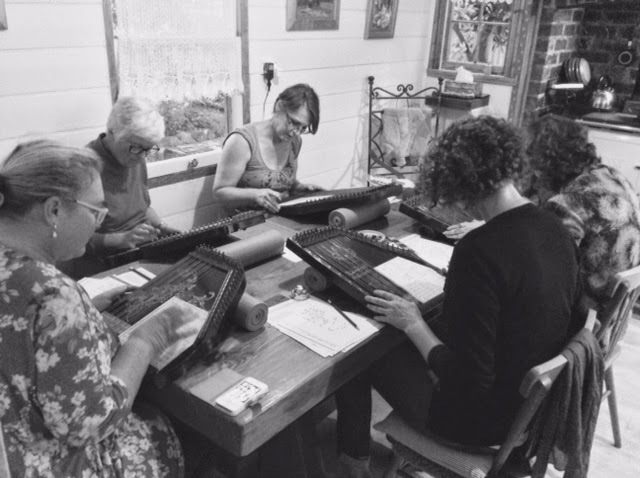 All of the participants had little or no musical training and it was a joy to experience that with chord zithers and their tune sheets, anyone can make beautiful music. Keep updated about 2015 workshops by following us.